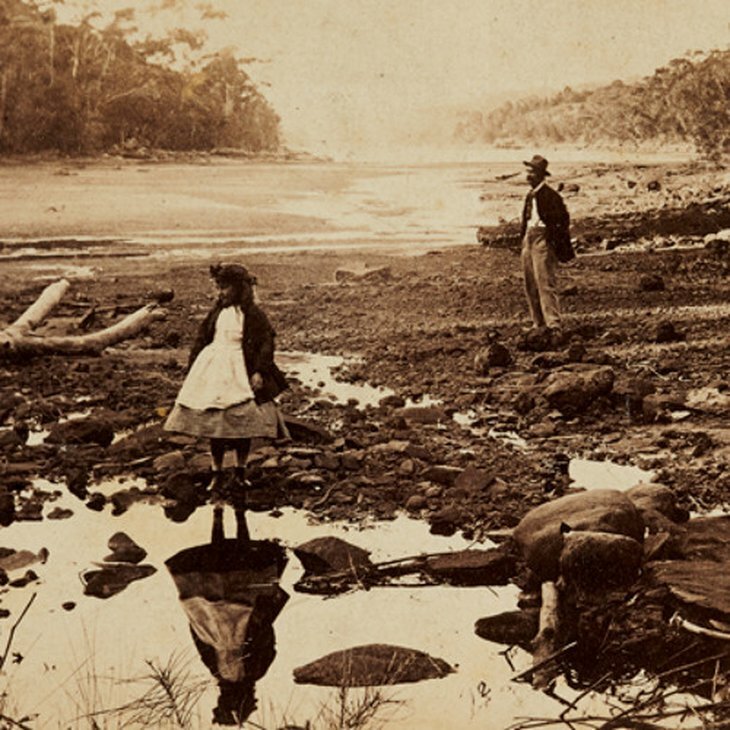 Trafficking images photography symposium featured Australian and international scholars at the vanguard of photographic history and theory, as well as contemporary artists. Held in conjunction with the exhibition The photograph and Australia, the symposium addressed a key aspect of the medium of photography: its apparent ability to move effortlessly and pervasively through physical and virtual worlds. The photograph is defined by its capacity for reproduction, repetition and dissemination; even unique objects like daguerreotypes and ambrotypes have travelled around the world as mementos, records and evidence. 'Trafficking images’ investigated the making, movement and consumption of these objects. Recording from the frontline, Aboriginal artist Tommy McRae created a unique body of work that captures the flux of colonisation in south-east Australia in the late 1800s. Working in parallel with the advent of photography in Australia, McRae documents vignettes with an eye for detail and framed these within his cultural standpoint at a time when Aboriginals were often voiceless. When corroborated with colonial sources including photographs and historical texts, his images can be seen as accurate historical documents, reminders and statements. McRae continues to actively contribute to the collective identity of the south-east by transmitting knowledge across time in his fine drawings. From the 1950s to the present, Korean photography has provided an essential and critical platform in terms of modern Korean history, politics, economics and culture. Drawing on research into modern and contemporary Korean photography, this paper considers the making and dissemination of images in and between South and North Korea, and how contemporary Korean photographers deal with obstacles and barriers inhibiting image transmission. This paper considers Keum Hyun’s current work at the ACC (Asian Culture Complex) which will open in September 2015 in Gwangju, Korea. The Asian Culture Information Agency (ACIA), one of five institutions under the ACC, is responsible for the researching and archiving of Asian culture including an Asian photography archive. Rather than exhibiting, the ACIA is designed exclusively for archiving and researching – a unique undertaking for an institution of its kind in Asia. The aforementioned photographic archive will be transmitted to researchers, curators, publishers and the public via both online and offline means. Some of this archival material and its importance to modern Korean history and visual culture as well as to the broader history of photography and its development in Asia after the 1950s is addressed. 03 What’s been stopping the traffic? 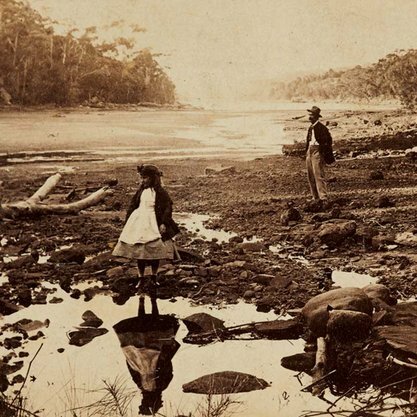 At first glance it might seem that art museums and galleries in Australia have opened themselves up to different kinds of photographies in recent decades. There have been important exhibitions involving anthropological, fashion, forensic and vernacular photographs to name some of the most obvious. But how free is the flow of historical and contemporary photographs into art museums and galleries? What kinds of photographs are being collected and exhibited? Why, for example, are anthropological photographs from the nineteenth century widely collected but those from the present are not? This paper argues that there are some significant blockages affecting the traffic of photographs into institutions that predate the arrival of digital photography and the internet. These blockages have their origins in the 1970s and 1980s when photography was being legitimised and institutionalised in many parts of the world. Ennis draws on her curatorial practice at the National Gallery of Australia and her own role in what Vince Aletti has described as the institutionalised and categorical delimiting of photography. While such efforts were undertaken in good faith by historians and curators of photography they belonged to a particular historical moment whose distortions are still with us, arresting the flow of vibrant, compelling photographs and blocking the view of photography’s extraordinary polymorphousness. The camera reduces the world to a list of things to photograph. That’s its default setting. Like a frottage of light the photograph lifts everything in its sights. To photograph is to collect images. Photography seems to quietly mutter: if only we could find all the pieces we might solve the puzzle. We are left to dwell in the bliss of the poetry of our continuous failure and the marvel of the photograph’s ability to casually copy the world in microcosm whilst making trouble for it in spades. The roll of film and the sim card are archives in waiting. Putting photos together offers the hope of coherence and the compensations of meaningful endeavour. To collect is to sort out your thoughts through things. This paper looks closely at collecting and sorting and making sense of snaps as if on a dare. In nineteenth-century science, the production and circulation of images was a complex process. The advancement and increasing popularity of natural history, in particular, owed less to individual genius than to the collective enterprise of an immense network of practitioners, enthusiasts, expositors and consumers. Furthermore, the dissemination of new knowledge through different types of visual media was crucial to how this information was interpreted and by whom. Photographs, even more so than other media, were accessible to a wide range of viewers. Yet, they could be construed quite differently or assume a new status as they moved between the centre and periphery, separate interest groups or social strata. Due to its accessibility to a variety of audiences, photography also had the potential to draw together popular or commercial realms with the pursuit of natural history, the principal science of the empire. To explore this nexus between photography, scientific practice and empire, this paper considers the diverse ways in which photography and natural history intersected during the second half of the nineteenth century, analysing photography’s role in cultivating knowledge networks and reframing imperial science. A pioneer of modernist photomontage, Heartfield is best known for the satirical anti-Nazi photomontages he executed in the 1930s. While extensive attention has been given to Heartfield’s early work and its reception in Soviet culture during the 1930s, the further trajectory of his work in socialist culture after the war has been ignored, largely due to the dismissal of the art and visual culture of the socialist states as kitsch during the Cold War. This presentation addresses this blind spot by examining the creative interactions and friendship of Heartfield and the Soviet artist Aleksandr Zhitomirsky, who was arguably his most talented follower. If all history is ultimately about the present, what kind of historical account of photography can speak to our contemporary moment, a moment when this medium has been incorporated into multi-media communication devices which themselves are the very embodiment of global capitalism? This paper addresses this issue by tracing a history for early photography that makes the activity of reproduction and dissemination its central narrative. Photography’s origins are thereby located in the advent of industrial modernity and consumer capitalism, and within the inexorable logic of mass production and distribution. This is a story, then, about the multiplication and dispersal of photographic images rather than about the creation of any singular photograph. In short, this version of photography’s history destabilizes, rather than secures, the identity of the photograph, undermining all fixed certainties and declaring, once again, that 'photography’ is the name of a problem rather than of a thing. It is twenty five years since Allan Sekula first presented 'The Traffic in Photographs’ at a national photography conference in Australia and the title of this symposium echoes something of the spirit of that foundational essay. If we understand ‘traffic’ as a more benign everyday term, concerned with general flows (of photographs), the proliferation of digital images in the last twenty five years involves a substantial transformation – if not mutation – of the image, which we can no longer simply call a ‘photograph’. More importantly, the activity of circulation has taken on the quality of a less benign ‘trafficking’ in images. In discussing these shifts in thinking around photography this paper draws on – in order to depart from – Sekula’s work on shipping containerization as a model for understanding the transportation of images between and within cultures. The circulation of images and vernacular photography in Hong Kong and Taiwan and the manufacturing of electronic devices in the Asia-Pacific in the post-war period will be considered, noting a discursive propensity that appears at this moment. Just as device manufacture shifts from Europe and North America to Asia in the post war period, allowing for an unprecedented avalanche of image production, the ‘history of photography’ emerges as an authorizing practice, promoting the interests of singular artistic images produced in European and North American cultural centres and historical images – by virtue of their rarity – entering trade circuits and circles of connoisseurs. The paper considers these paradoxes of the image today. Please note that the audio featuring the section from Mad Men has been edited out of this recording for copyright reasons.